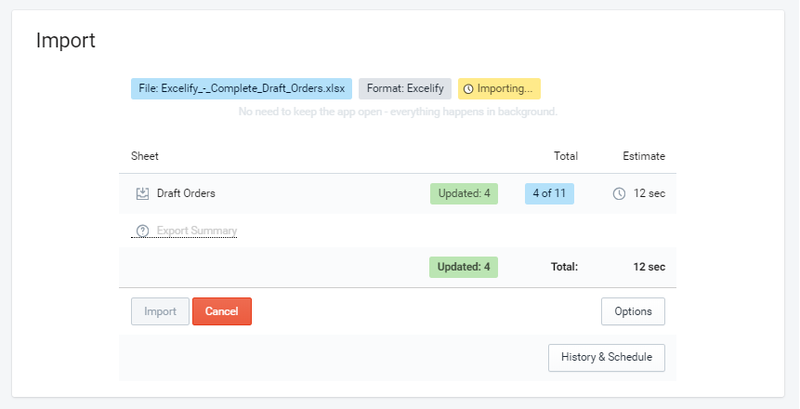 Complete your Shopify Draft Orders in bulk with the Excelify app. Export Draft Orders you wish to complete using Excelify app. Remove the Draft Orders you do not wish to complete. Update Command, Complete and Complete: Payment Pending columns. 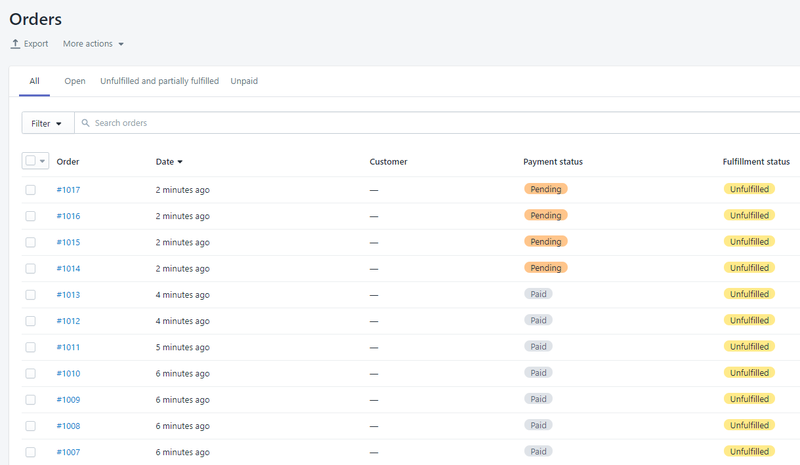 If you wish to also send out an Invoice fill Send Invoice: … columns. Done! 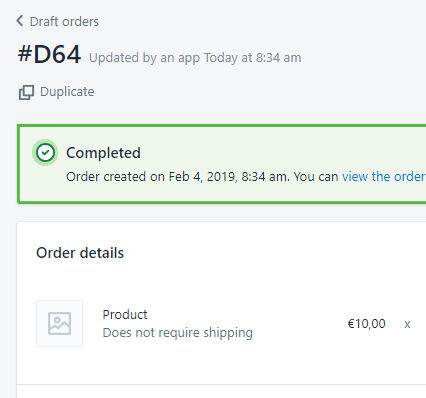 Check out your Draft Orders in your Shopify Admin. 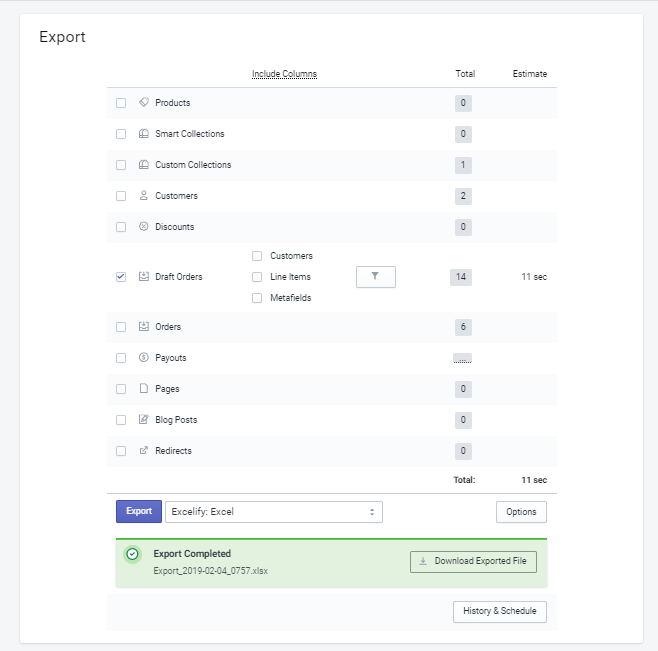 In the Excelify App locate Export section and select “Draft Orders” checkbox. To complete a Draft Order you would not need to select any sub-checkboxes. You can check “Status” column to see Draft Orders that are already “completed” and delete those from your file. Also, you may delete from file all the other Draft Orders that you do not wish to complete. You may also include Send Invoice: … columns if you wish to send invoices for these Draft Orders. Now you can start editing your file. The first thing you would need to update is the “Command” column. Here you would need a value UPDATE to tell the app that you wish to update this Draft Order so we will do this for all Draft Orders in this file. Then you need to update “Complete” and “Complete: Payment Pending” columns. Complete: set to the value TRUE it tells the Excelify app to generate the real Order from this Draft. These columns you only need to include in your file if you wish to send out an invoice for any of your draft orders. For Draft Orders that you do not wish to send invoices, you may leave all these columns blank. 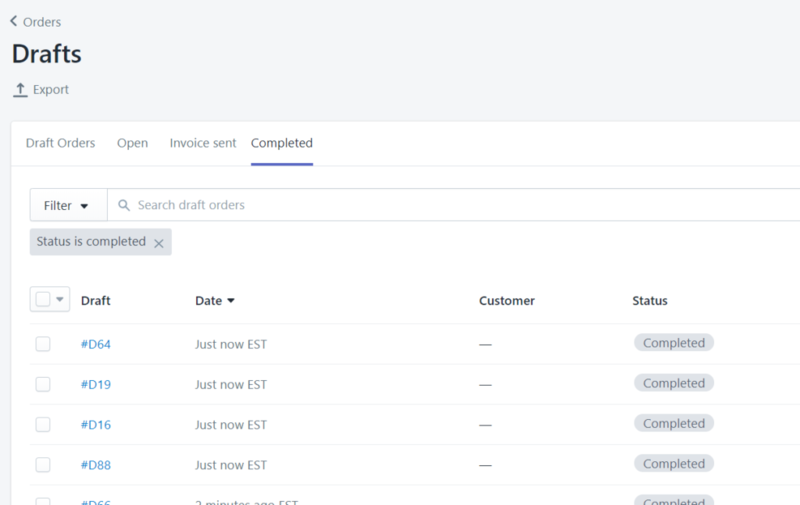 Send Invoice – with value TRUE. Send Invoice: To – Email of the recipient. If a draft order also has the “Customer: Email” column filled then it may be left empty. Send Invoice: From – Sender e-mail address which will show for the customer who received the invoice. Send Invoice: Bcc – (Optional) Additional recipients of the invoice. Their e-mail addresses will not be visible by e-mail receivers. Send Invoice: Subject – (Optional) If left empty, the Shopify will put its own default e-mail subject. Send Invoice: Message – (Optional) If empty, then the default Shopify e-mail message will be used. Now we can save the file. Go back to the Excelify app and import the file in the Import section. The app will analyze the file and count how many Draft Orders we are importing. If you see any Failed items, then after the import has finished, you can download the Import Results file and look into the “Import Comment” column. It will tell why the particular Draft Order has failed. Then you can fix that issue and re-import just those failed and fixed rows again. Check out our Draft Orders documentation. Check tutorial on how to send Invoice for existing Draft Orders.